This is what it is about -focus and priorities, cleaning up our own backyard, and holding those within our communities responsible. In doing so any others with complicity will be easier to hold accountable when their turn comes. AIM has continually attempted to put the cart before the horse, thinking that in doing so the focus they deserve for the crimes they have committed will either be placed on the back burner or forgotten in their entirety. To allow murderers, rapists, and thieves unrestricted access and mobility in our communities while pointing fingers elsewhere is the game they would have us play, and I’m especially tired of those non indigenous, those who have never spent a day on the rez, telling us that is what we should do. The better course for them would be to mind their own damn business and clean up their own backyard- the stench of which is becoming global in nature. An incorporated entity with CEO’s vying for attention and money-hardly sounds like a “peoples movement” does it? 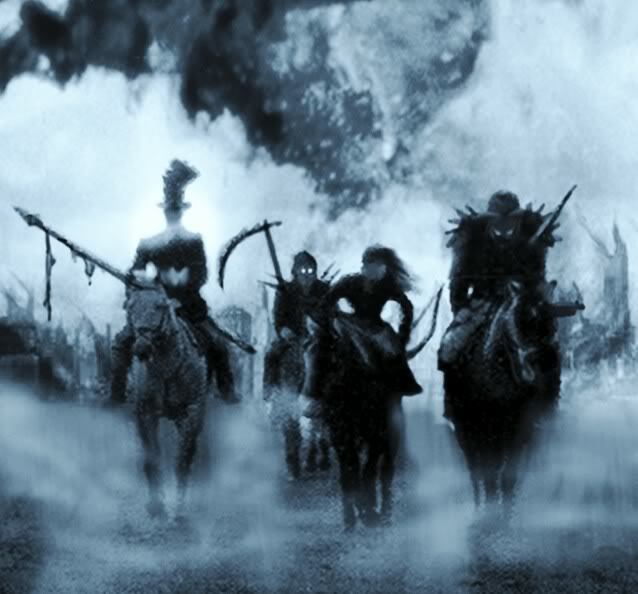 Means, Banks, and the Bellecourts-our version of the Four Horsemen of The Apocalypse, accompanied by their valet Crow Dog bringing up the rear. to a neighbor which would you address first? Thank-you for this blog from one of the victims & survivors of AIM! blAIMsters here in Onigum, were recently detained at the local highschool, and are now playing the tattered race card that Dennis has tried to seize upon to prey on the sympathy of the non native community while at the same instance treating them like garbage. With the support of community members and tribal representatives and a community working together coalition , there is an attempt to remove responsibility and accountability from those kids with the defective attitudes who as per the tribal council, “representatives of Anishinabe values” , i.e to say “Team Onz” is not a gang. One could say it was “sensitivity” training on a different level.